As Pakistan remains in post-election hysteria, one can simply not turn eyes away from the fact that for this election, a simple electoral legislation paved the way for many women and girls to exercise their power of vote – for the first time in the country’s history. As tens of millions in Pakistan on Wednesday casted their votes in the highly contested general election, the country’s Election Commission of Pakistan had issued a notice that low women voter turnout will lead to cancellation of polling stations’ vote count. The Election Commission had notified that any polling station where women’s votes are polled less than 10 percent of the overall votes cast, will have its results cancelled. Even in regions where it was until now unimaginable for women to come out of their homes on their own, many joined the democratic process of casting their votes. This step, while being monumental for the fight for gender equality, is still a long way away from realising the dream of true empowerment for women. But nevertheless, it was a long-due first step in the right direction. The legislation was issued following several reports which showed that in some remote districts, women were not encouraged – and in some cases allowed – to vote. In an exceptional incident in the urban areas, the local media reported that some men tried to stop women from voting in Peshawar, the country’s sixth biggest city. 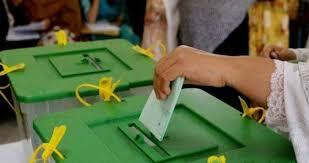 Yet despite the new legislation and the movement surrounding its publication, it was recorded that the women’s turnout remained very low in the Upper and Lower Dir, Bajaur, Khyber Division, Shangla, Mohmand, Charsadda and Peshawar’s suburban areas. While on the other side ironically, an overwhelming majority of political parties once again neglected fielding strong women candidates in hotly contested constituencies, but relied on fielding female candidates in seats they deemed not winnable. The women’s leadership role in shaping manifestos of their respective parties was also not remarkable, despite the fact that Pakistan’s late Benazir Bhutto was the first female head of state in the Muslim world when she became Prime Minister for the first time in the late 1980s. Among a total of 105 female candidates fielded by all political parties, Bhutto’s Pakistan Peoples’ Party remained on top, with 19 female nominees. Using this ten percent compulsory female vote as a stepping stone, Pakistan can strive forwards towards true female empowerment.